1/4 inch Bonsai Pumice is an aggregate / substrate used for bonsai, succulent, cactus and orchids. Amend with other soil ingredients such as pine bark fines, granite grit, calcined clay, and or dirt to create a bonsai soil specific to your potted plant needs. Consistent size, ready to use, no sifting required. Packaging. Our aggregates are professionally packaged in custom 6 mil bags. Processing. Each particle travels across 21 feet of screen for maximum accuracy. Minimal dust or sand sized material. Easy returns. 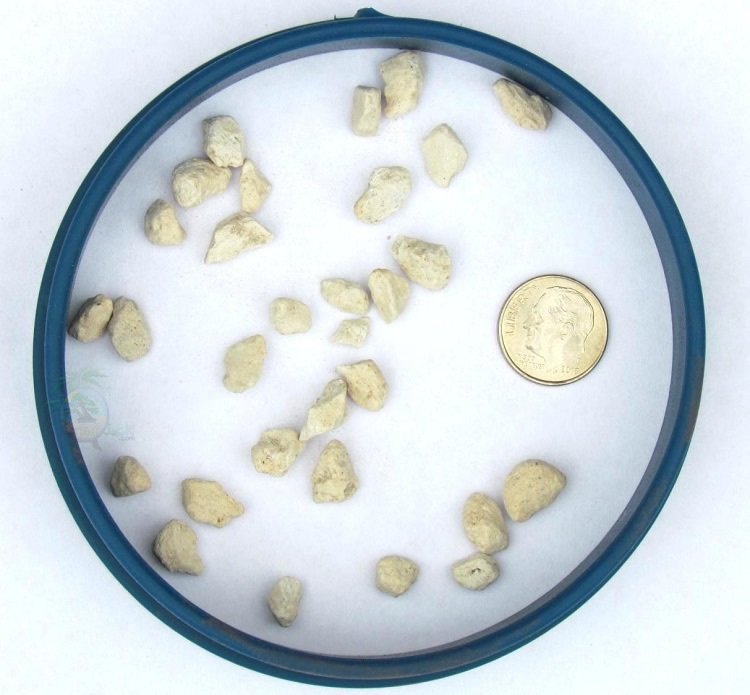 If this is not the cleanest aggregate you have ever purchased simply return it for a full refund. No questions asked. We will even cover the return shipping. Cactus / cacti, succulent, bonsai, cannabis, orchid and other soil blends that require a fast draining amendment. Hi! 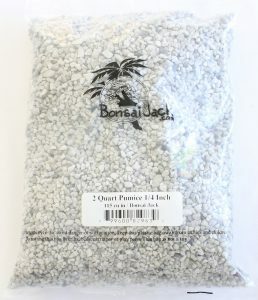 I recently purchased this product for house plants and I have noticed that the pumice is turning brown. Do you know the reason for this? Thank you! Hello Whitney. Pumice will darken when mixed with darker soil products or poor water. It will not affect performance.